The Lean Startup presents a paradigm shift in how we manage and solve problems under conditions of uncertainty. It is a proven method for building innovation that also works for introducing and managing complex change. This workshop will teach you how to use principles and practices of Lean Startup to engage and empower your people to improve work, energize new business models and delight customers sooner. How do you build a high-performance organization that is adaptable and resilient to changing market conditions while at the same time focused and efficient at executing the existing business model? Through case studies and hands-on exercises, you’ll learn how to use new management techniques to introduce Lean Startup inside your organization and grow a virtuous cycle of process and product innovation. Each participant will receive complimentary tools and resources that can be taken back to work and implemented right away. Lean Startup principles and practices for established organizations – why they are important for the long-term success of your company. How to use methods of experimentation and a feedback-driven approach to introducing change, testing assumptions, and measuring outcomes to drive further adoption and growth. How to institutionalize methods of continuous and disruptive innovation while developing a “minimum viable culture” that is committed to learning and improvement. How to find and mentor “Lean Heroes” to help accelerate the movement towards becoming high-performing. How to lead and manage large-scale change in a way that empowers people and increases engagement while reducing the risk of failure. This workshop is highly relevant for executive leaders, senior managers; innovation teams including product managers and product development team members. 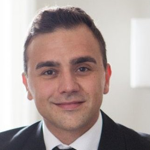 Carlos Oliveira is a Senior Strategy Manager working for TELUS communications. As an Innovation Catalyst and Lean Evangelist, Carlos works with a talented group of coaches and team members to lead a large-scale Lean and Agile implementation across the enterprise. He is passionate about helping people discover, develop and deliver real value to customers and gives back to the Toronto community as a co-organizer of the Lean Enterprise Toronto meet-up. You can follow him on twitter @userprofile.